Alienware is an iconic name when it comes to gaming. These notebooks have always aroused attention with their out-of-this-world design and top-notch hardware. Now, in our labs, we have the latest iteration of the Alienware 17. With its 4.42 kg (9.7 lbs) weight it’s hard to say that the notebook is easily portable but that’s the price you pay for having the latest and greatest hardware inside. This year, the Alienware 17 R5 comes with the new Core i9-8950HK – a CPU unlocked for overclocking up to 5.00 GHz. The Alienware 17 R5 is all about overclocking and getting maximum performance. Even the GPU inside is factory OC – something you rarely find in notebooks. The biggest concern is if the cooling system is going to be able to sustain this hardware. Let’s find out if the Alienware 17 R5 is this year’s champion. As expected, inside the box you find the notebook itself as well as the 300W power brick and a few brochures you’ll probably never read. The Alienware 17 R5 has one hell of a design. Some may say it’s extraterrestrial! It’s mostly made out of polycarbonate but boy is it sturdy. The only metal pieces of the chassis are the back lid and a plate at the bottom. We guess it’s better this way as the plastic material saves some weight of the already heavy 9.7 lbs (4.42 kg) notebook. Design-wise, you can’t help but feel small next to those large exhaust vents at the back of the device. We are glad that there are so many exhaust vents – two on the sides, two at the back, and one large for the fans on the bottom – as the monstrous Core i9-8950HK and GTX 1080 require constant air flow to keep running smooth. The back metal lid has a smooth matte finish. It is decorated by three engraved lines that meet at the center and an Alienware logo. The lid is sturdy with almost no flex when pressure is applied. Also, the hinges holding the screen are so good that you can open it using only one hand. Once you open the lid, you are presented by a 4-zone RGB keyboard which feels great. There are an additional 9 macro buttons which you can program as you like. There is enough key travel (2.2 mm) and feedback for comfortable typing. The areas around the keyboard and the palm rest areas have a nice to the touch matte finish which keeps your hands in place. The touchpad is precise and has its own backlight but it’s small, however, we assume you won’t play games with a touchpad. The Alienware 17 R5 is like a Christmas tree. There are lights all over the notebook. Two strips on the sides of the lid, two strips on the sides of the body, a logo under the display, a logo on the lid, and of course the keyboard and touchpad are all shining in whatever colors you decide. As you can see in the chart below, there are absolutely no changes in the chassis whatsoever over the last generation. The Alienware 17 R5 probably features every port you can ask for. In a manner typical for high-end gaming notebooks, the majority of ports is located at the back of the device which makes connecting peripherals more comfortable than having cables sticking from both sides. Starting with the left side, you can find a USB Type-C port, a USB 3.0 port, and two 3.5 mm jacks – one for a microphone and one for headphones. The right-hand side is home to only a single USB 3.0 port. The back of the notebook is densely populated. There you can find the DC charging port, the Alienware Graphics Amplifier Port which lets you connect an external GPU, another USB Type-C port with Thunderbolt 3 support, an HDMI, a Mini-Display Port, and a Gigabit Ethernet port (Killer Networks e250000). To gain access to the main upgrade slots of the Alienware 17 R5, you just need to unscrew six Philips M2.5×13 screws and loose one Philips screw that keeps the back plate tight to the rest of the chassis. Once that’s done you can start upgrading. You have two DDR4 RAM slots. One of them is empty on our configuration. The notebook supports up to 32GB. When it comes to storage upgrade, you get one SATA slot that supports 2.5-inch drives and not one or two but three M.2 slots. Two of them are M.2 2280 and the third is M.2 2242 in size. The M.2 2242 slot supports up to 1TB of SATA 6 Gbps SSD. Both M.2 2280 slots support PCIe NVMe 3.0 x4 drives with a capacity of up to 1TB each. One of the M.2 2280 slots can be used for Intel Optane drives as well. The Killer 1435 Wireless-AC network adapter is hidden under a layer of isolation tape next to the M.2 2242 slot. You can also take a look at the two fans and three heat pipes that we will test further down in the review. At the bottom left corner, you see the subwoofer which is part of the 2.1 audio setup. The two speakers are located in the front of the notebook. Alienware 17 R5 features a Full HD IPS panel manufactured by AUO carrying a model number B173HAN01.3 (AUO139D). Its resolution is 1920 x 1080 and its diagonal – 17.3 inches (43.94 cm). This translates into a pixel density of 127 ppi. The screen ratio is 16:9 and the pixel pitch is 0.1995 х 0.1995 mm. The screen becomes Retina when viewed from a distance greater than 27 inches/ 23 cm (from this distance the human eye can’t tell apart individual pixels). Alienware 17 R5’s screen provides comfortable viewing angles. We offer images at 45° to evaluate image quality. The measured maximum brightness is reasonably high – 340 nits (cd/m2) in the middle of the screen and 330 nits (cd/m2) average across the surface of the display with a maximum deviation of 11%. The Correlated Color Temperature on a white screen is 6780K – almost in line with the optimal 6500K temperature for the sRGB standard. The average color temperature through the grey scale before profiling is 6670K. The illustration below shows how matters are for operational brightness levels (approximately 140 nits) – in this particular case at 36% Brightness (White level = 140 cd/m2, Black level = 0.1 cd/m2). Values of dE2000 over 4.0 should not occur, and this parameter is one of the first you should check if you intend to use the laptop for color sensitive work. The contrast ratio is good– 1350:1 (1250:1 after profiling). The yellow dotted line shows Alienware 17 R5’s color gamut coverage. Its display covers 92% of the sRGB/ITU-R BT.709 (web/HDTV standard) in CIE1976 – a prerequisite for a saturated and attractive image. Below you can compare the scores Alienware 17 R5 with the default settings (left), and with the “Gaming and Web design” profile (right). Alienware 17 R5 does not use PWM to control monitor brightness which makes it safe to use in the viewed aspect. Alienware 17 R5’s display features a 17.3-inch IPS panel with Full HD resolution and comfortable viewing angles. Its contrast ratio and maximum brightness are rather high and the color range is wide (92% sRGB coverage). The brightness is also not pulse-width modulated. Since our profiles are tailored for each individual display model, this article and its respective profile package are meant for Alienware 17 R5 configurations with 17.3″ AUO B173HAN01.3 (AUO139D) (FHD, 1920 × 1080) IPS. Alienware 17 R5 provides rich sound that gets pretty loud. The tones are crisp and clear in the low, mid, and high frequencies. The Alienware Sound Center and Audio Recon software let you customize and tweak every sound. From all additional software, them most interesting is the Alienware Command Center. From this app, you can monitor your notebook’s vitals, choose present or make your own for fans speed, audio, and power options. You can easily overclock your CPU from here but do it at your own risk. The Command Center is also used for customizing the RGB keyboard and other lights. You can also create a library of your favorite games and associate a custom performance preset to them. Alienware 17 R5 has two battery options – either 68 or 99Wh. Our configuration contains the latter, larger battery. However, we couldn’t get more than 4-5 hours of battery life which isn’t that surprising considering the powerful hardware. Our configuration is equipped with a 256GB PCIe NVMe Toshiba SSD with a model number KXG50ZNV256G and a 1TB hard disk. We offer benchmarks for the SSD. The Alienware 17 R5 comes with only two CPU options – the Core i7-8750H or the overclockable Core i9-8950HK. Our configuration features the latter. Here you can see an approximate comparison between the CPUs that can be found in the Alienware 17 R5 models on the market. This way you can decide for yourself which Alienware 17 R5 model is the best bang for your buck. Our configuration of the Alienware 17 R5 is equipped with the NVIDIA GeForce GTX 1080 OC edition graphics card. Other configurations include the GTX 1070 or 1060 both overclocked too. Here you can see an approximate comparison between the GPUs that can be found in the Alienware 17 R5 models on the market. This way you can decide for yourself which Alienware 17 R5 model is the best bang for your buck. The Alienware 17 R5 is equipped with the GTX 1080 and for now, you can’t really get any better. Of course, there are exceptions like two GPUs in SLI inside a notebook but in most cases, our configuration is the best out there. The Alienware 17 R5 has a very serious cooling system with vents all around and user-controlled fan speed. 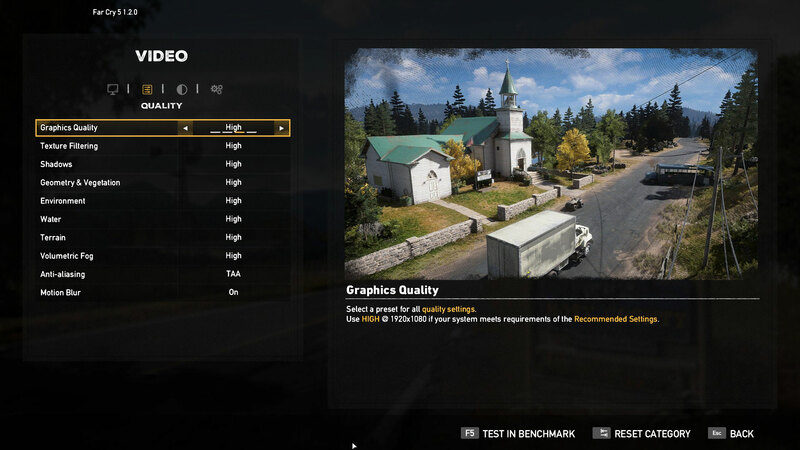 That’s only fair as the notebook boasts some extremely powerful hardware and it even supports overclocking of the CPU and a factory overclock of the GPU. 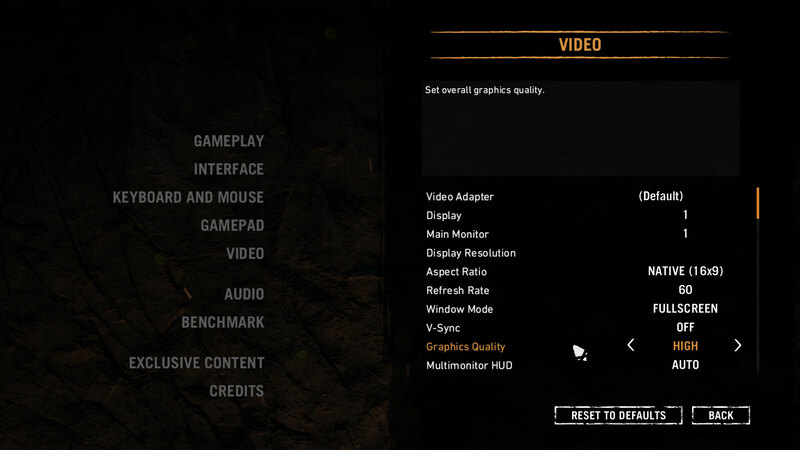 Our tests were conducted utilizing the maximum fan speed and no further overclocking. As you can see from the chart above, the cooling system manages to handle temperatures low even after 15 minutes of 100% load. However, just 15 seconds into the test and the clock speed drops below the base clock of the CPU. Nonetheless, an internal temperature of just around 60°C is more than enviable. We have to note that these low temperatures come at some cost. Apart from the lower clock speed, the fan noise is very high and you could probably blow dry your hair on the rear vents. The GPU is handled even better than the CPU. The temperatures are higher but just about average – around 80°C but the clock speed remains high. This version of the GTX 1080 is factory overclocked and after 30 minutes of high load, its clock remains above the boost frequency of a regular GTX 1080. Surface temperatures reach a peak of around 57°C, however, only in areas unlikely to be used while gaming. The palm rest area and the WASD keys remain far cooler. Our configuration of the Alienware 17 R5 comes with a great Full HD panel. There are also a QHD and UHD panel options and some come with Tobii Eye-tracking technology which lets you interact in some games using your eyesight. Battery life of the Alienware 17 R5 is not a record-breaker but you can get about 4 hours or more of moderate usage (not gaming) which is still impressive considering the hardware we speak of. The cooling system is what we feared most but the Alienware 17 R5 endured our test like a boss. It maintained low CPU and GPU temperatures even after continuous use. The CPU frequency dropped below its base clock but 2.50 GHz is not bad at all. One of the few notebooks that can currently rival the Alienware 17 R5 is the Acer Predator Helios 500.